Società Sportiva Calcio Napoli, commonly referred to as Napoli, is a professional Italian football club based in Naples, Campania. Formed in 1926, the club plays in Serie A, the top flight of Italian football. 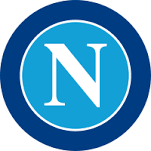 Did you know: Napoli have won the seventh-most major honours (10 total) among football clubs in Italy.